Hey, it's the weekend...that means it's time to stamp, right? Well, weeding my flower beds, transplanting flowers, laundry and all of that other stuff that isn't so much fun...yea, that has to get done just the same. But, I made sure I took some time to stamp! I love to participate in challenges and there are two new ones out there that you should check out. This card was made for both of those. *Edit - This card won the Gilded Lily Award at the Lily Pad! 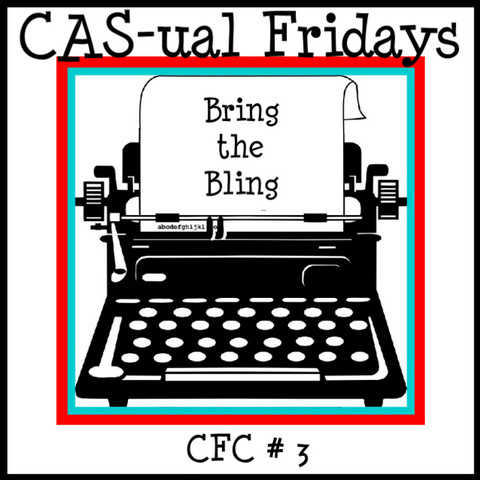 CAS-ual Fridays challenge. Use bling! Here is my take on these two challenges. I already knew that I wanted to do some sponging on a card this weekend. And, unfortunately, my stash of sympathy cards is almost gone. So this card will go towards replenishing my stash. It had been a long time since I had done a sponged background. I love the look. I used post-it notes to mask off around the area I needed to sponge. When that was done, I removed just the note on the left hand side so that some of my stamped images could lap over the sponged area. I learned this technique on Melanie Munchinger's blog a couple of years ago. Love it! I adore this card! You totally rocked the sketch and your colors and design make me smile! Such a gorgeous card. Thanks for playing in the Lily Pad pond with us! A truly beautiful serene card. Great job. Hi Susie, I love how you combine the two challenges!! REALLY beautiful! I love the background stamping and the shading is fabulous! The blings are perfect for this design! So glad that you join the fun at CAS-sual Fridays! Love your card. 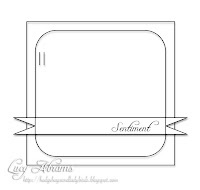 I love the way you have part of it stamped on the white. What inks did you use for the sponging? Barb C.
@Barb C. I used all of the inks, in my supplies list above...except the close to cocoa & choc chip. I started with the lightest colors, then worked down a little further with each of the deeper colors. I hope that makes sense. Let me know if you need more info! 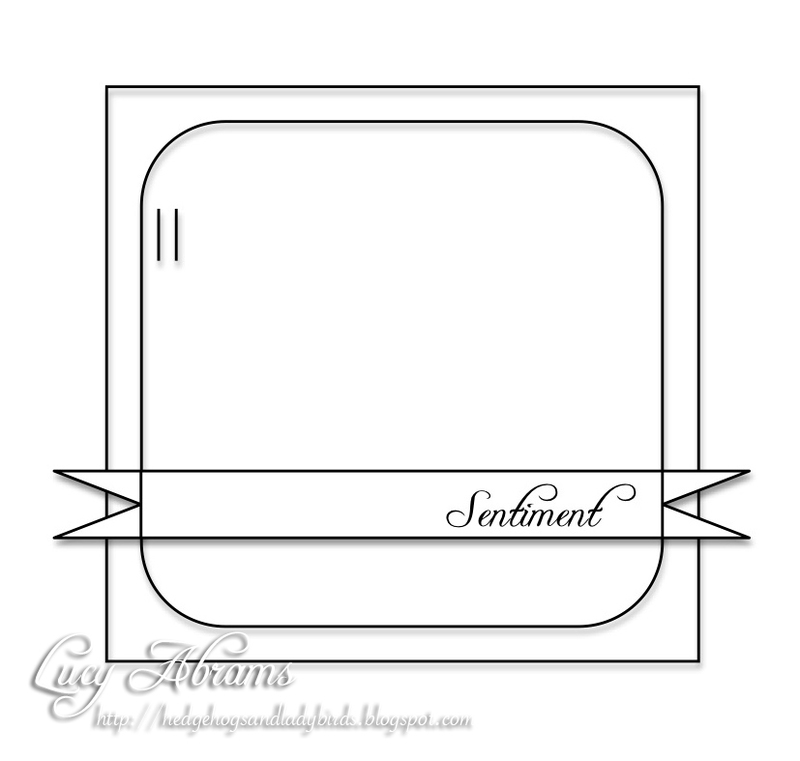 This is a fabulous example of a beautiful CAS card! I love what you did with the bling. Such a wonderful graphic use for it :) Thanks for joining us at CAS-ual Fridays! OH so pretty and soothing and all around lovely. 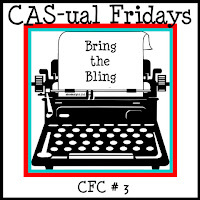 Thanks for joining us for CAS-ual Fridays! I absolutely adore this card! Just gorgeous!! AWE-SOME!! This design is absolutely stunning!! Thanks so much for playing with us at CAS-ual Fridays! Looking forward to seeing more of your gorgeous work! GORGEOUS! Your sponging is divine and I love the focal image spreading out into the white space. Great CAS design and those rhinestones in the corner are a nice balance :)Thanks for playing this week at CAS-ual Fridays! Stunning colors and a perfect sorry card. Thank you for playing along at CAS-ual Fridays. Beautiful! Love the colors! Glad to join us at the pond! Susie, this is REALLY lovely. I love the simplicity and your take on Lucy's sketch. Thanks so much for playing with us at Lily Pad Cards! Very pretty, Susie. :) Love the soft sponging.